Deliveries normally occur between 7am and 4pm and are normally within 5 working days from payment of order, but often less than this, dependent upon the quantities ordered and the delivery area. You will be contacted the day before the delivery of your order. If we cannot contact you, we may still deliver your goods. Please ensure there is adequate space to offload by means of a hiab crane. Your goods will be placed within 4 metres from the delivery vehicle. We are fully insured to offload to kerbside. If you require the lorry to go onto private property, or lift over walls, hedges etc, we will endeavour to meet your wishes. However, you will be responsible for any damages to the property, including third party damage that may be caused during this process. 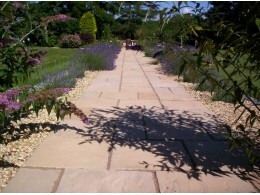 Free delivery is based on a maximum distance from our site of 25miles, using major routes. For deliveries of more than this distance please call 01777 817901 or email sales@acpaving.co.uk with details of the products you require, to check if free delivery can still be done for you. Your goods will normally be delivered and offloaded by hiab crane, which can usually place the pallet where you need it, in a safe and suitable place. 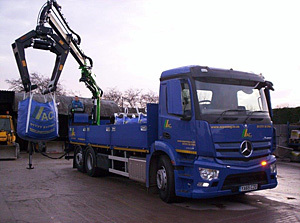 Beware of other delivery methods such as the pump truck and tail lift lorry delivery, which cannot offload in small areas, or on any type of surface other than tarmac or concrete, that is not on a gradient. Where the distance is more than 60miles we may use an outside courier, who will probably use the tail lift method. Please ensure you are able to take this type of delivery to kerbside only. The area to be offloaded onto must be flat and large enough for a lorry. Most of the national couriers have a driver only policy, so they often will require your assistance when offloading at your property when using the tail lift/pump truck method. Please ensure an able bodied person is available to help on the delivery day. Deliveries that need returning due to access problems will incur a charge to cover this cost. 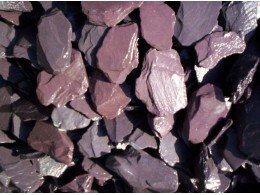 Although we do our utmost to deliver your goods in perfect condition, at the lowest price, please note that it is not possible for any supplier to ship stone from overseas and then deliver to your door without the occasional scuff/scratch marks or sometimes, some small chips to the edges. We cannot be held responsible for every small imperfection. We recommend ordering 5% more than your actual requirements to cover breakages and any cutting you may need to do. 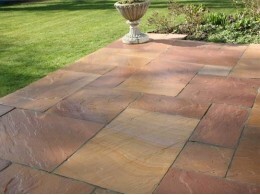 If you can return any broken paving to our site we will happily replace (Above 5% breakage) We cannot deliver replacements to cover small numbers of breakages.